Here we go again. I'm at a preview of a big game coming from Ubisoft, hoping that it's going to be as terrific as it seems. I can be skeptical, but I'll be damned if I can cease being optimistic. Watch Dogs is looking and sounding good. 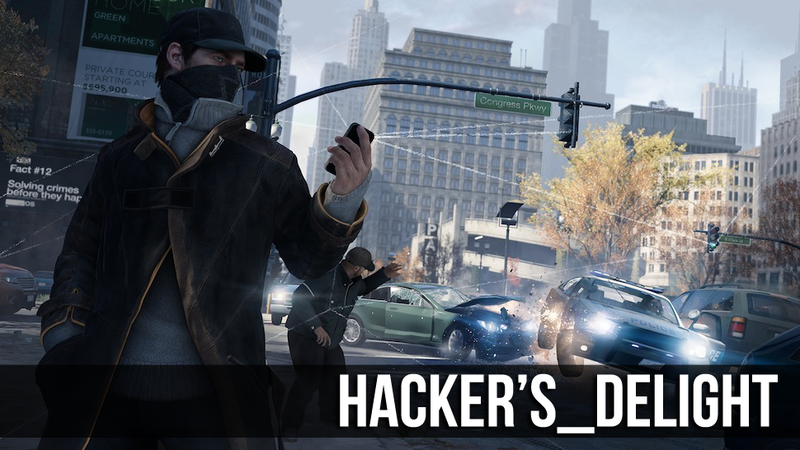 They go through the basics, setting up their character—vigilante Aiden Pearce—and their game world—a modern Chicago wracked with crime and heavily networked by a program called CtOS that is responsible for dotting the city with security cameras. The game is open-world. As Pearce, we'll be running around, stealing cars, shooting bad guys, all the stuff you might think of in a Grand Theft Auto, though they don't mention rival series. You'll also be doing a lot of hacking. Hacking the traffic lights, hacking ATMs, hacking cell phones, hacking any piece of electronics in the game to learn things, change things, and use the city as a weapon. If you've been aware of Watch Dogs, you knew all that. "Now, theoretically, you could do the exact same thing in any game engine. You could walk up to a street corner, a specific street corner, then you’d hit the button—or not—and a scripted event, something with always the same outcome would happen and there would be an accident. And then if there was a fight… the [artificially-intelligent enemies] would be predesigned or predetermined to go to certain areas and start shooting at the player. Things would be very predictable in the sense that they would always happen in the same way. "The player can go to any of the hundreds of street corners in our city, Chicago, and if there’s a traffic light, he can hack it at any time for any purpose he has. He can do so at any time of day, in any traffic condition with any amount of pedestrians around. And when he does this, will he even cause an accident? I don’t know. It depends on the traffic condition. And if there’s an accident, the other cars will try steering away, avoiding the accident. At E3 that caused a fire—an explosion—in a nearby gas station. But it could have caused hundreds of other things. Now, some of those drivers will be knocked out, pedestrians will try to help those injured people, some pedestrians might call the cops, the cops on this street corner might try to intervene. If a fight starts there, any of those cars can be used as cover by the player or the AIs. And if the player wants to navigate across this busy intersection, you need to be able to do so in a very fluid manner even though that intersection was basically created out of his own will—his own source of action." He's actually showing visualizations of this on the TV behind him. We see city blocks with lots of arrows flowing through them. The arrows are of different colors. Guay is talking about how Chicago is the windy city and how in lots of cities you'll get gusts of wind down the corridors between skyscrapers. They're trying to get that in the game. They want there to be wind gusts when a car rushes by or when the elevated train goes by. Later, when we chat one on one he'll confirm that this is all cosmetic for now. They'd like to make it a gameplay thing—would love to incorporate that wind into the game's driving physics. But it sounds like a maybe, trending toward an unlikely. Still, he reminds me that the game takes place in the fall and I suggest that the higher-end versions of Watch Dogs could do a lot with blowing leaves or even newspapers. He doesn't commit, but, hey, dynamic wind? I want to see it (to the extent you can see wind. You get the idea!). Guay starts promising an exploration of moral gray areas in this game, suggesting that as a vigilante we'll be making decisions about who to help or hurt in this city without being given the spectrum extremes of simply being the nicest or most evil guy around. More on this in another story, I promise.